ExcelSteel’s cast iron teapot is the perfect choice for cold evenings or a wonderful tea gathering with friends and family. 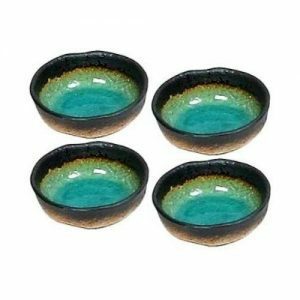 Beautifully designed to make pouring a cup of tea enjoyable and make it centerpiece for any kitchen. 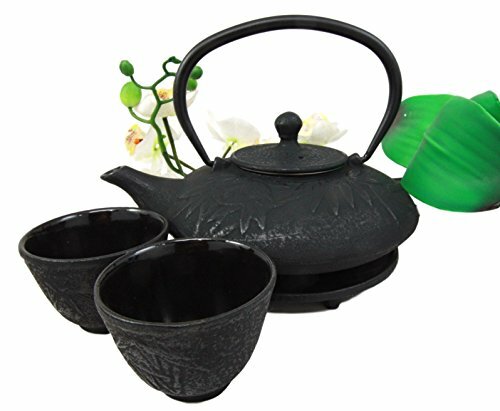 Enjoy the benefits of the ExcelSteel Asian Cast Iron Teapot and it’s exceptional design, functionality and beauty. The design ensures an even heat distribution. 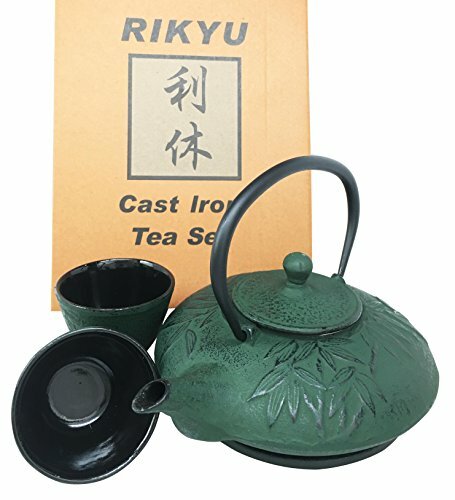 The cast iron strengthens the amount of flavor and therefore the nutrients released into the tea. 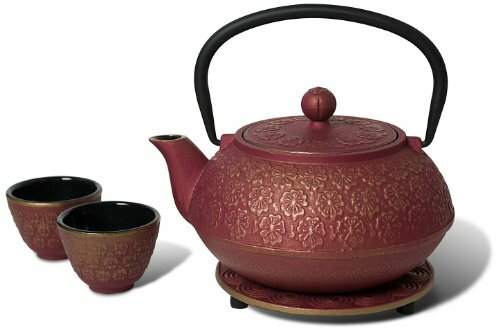 The shape of the ExcelSteel Asian Cast Iron Teapot ensures your tea is kept warm longer. Furthermore longer heat means tea that is rich in aroma and high in flavor. 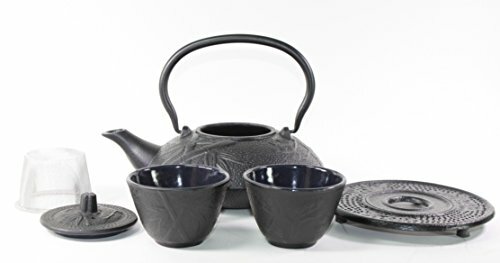 With it’s high quality construction, the ExcelSteel Asian Cast Iron Teapot will better retain heat and is far more durable than those made with ceramic or clay. With the included infusion strainer, you will be able to brew your favorite, delicious loose-leaf teas or tea blends. 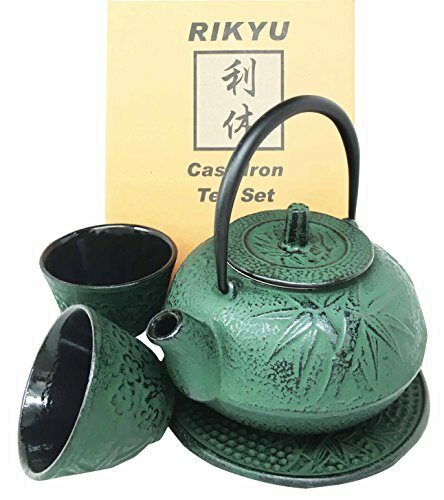 Share this wonderful teapot with others as a gift. It is perfect for weddings, birthdays, holidays, and more. Furthermore, it is easy to use and clean with all parts being dishwasher safe. 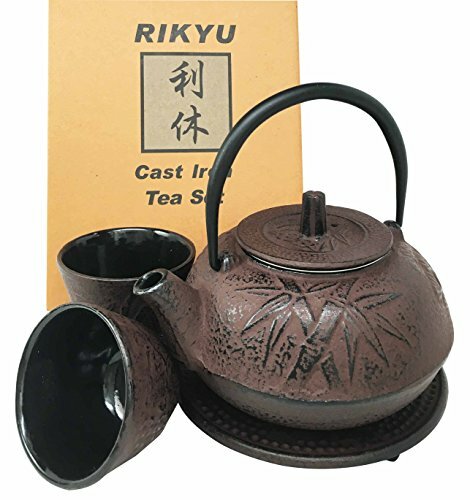 The even heat distribution of the cast iron strengthens the nutrients of the tea. 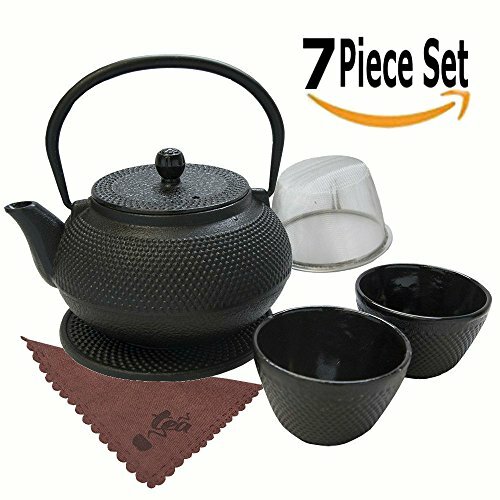 Thereby ensuring your tea is kept warm and rich in aroma. 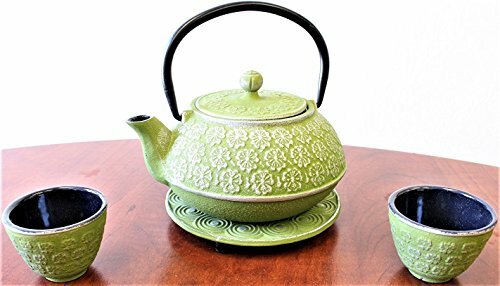 The elegant design and sturdy construction make the ExcelSteel Asian Cast Iron Teapot far more durable than ceramic or clay. 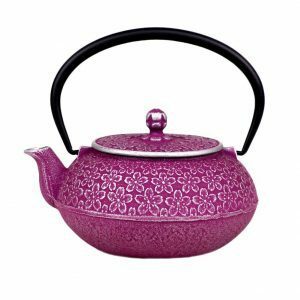 Make the pouring of cups of tea a truly special occasion with this beautiful and charming designed tea kettle. 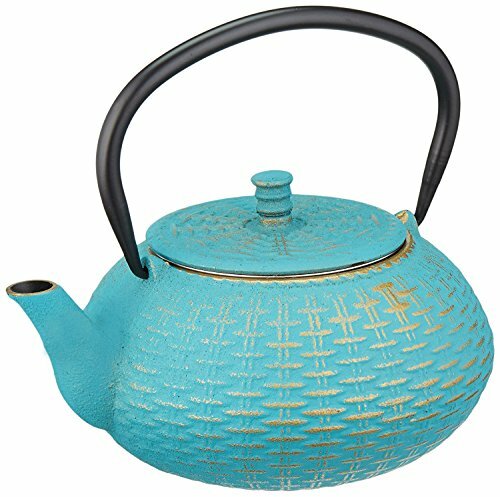 Featuring a blue spotted design and timeless elegant texturing, the kettle becomes a beautiful centerpiece for every tea lover’s kitchen. Therefore it is art as well as cookware. 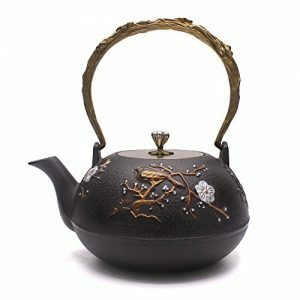 Create exquisite tasting teas with the ExcelSteel Asian Cast Iron Teapot. And discover the joys of cast iron which will make brewing a pleasure. Use the removable infusion mesh strainer, included in your set, to aid in deliciously brewing your favorite loose-leaf teas. 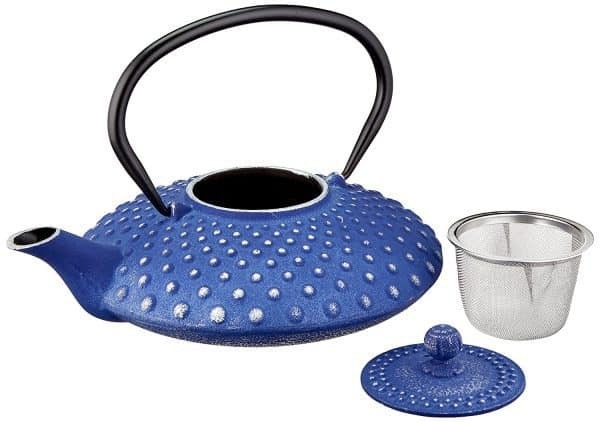 The ExcelSteel Teapot comes with an easy to grip handle for comfortable pouring. 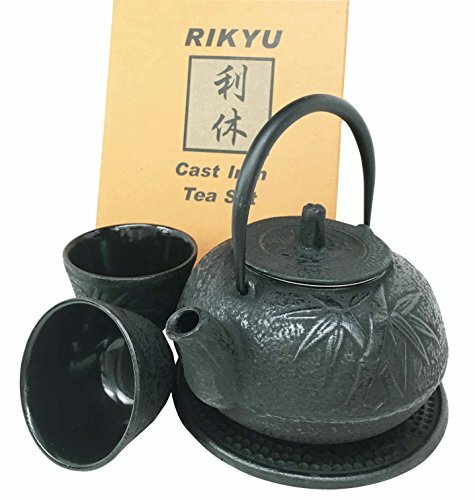 More importantly and most noteworthy is the handle design makes the teapot safe to pour. 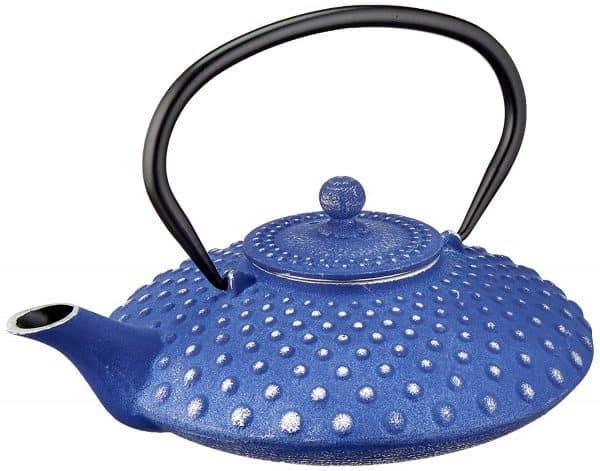 The teapot has a gorgeous cobalt blue exterior therefore you should avoid using on open flames or heat source. All parts included are dishwasher safe. 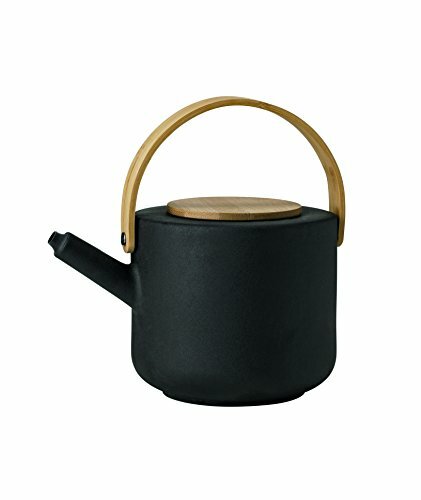 Give others a truly perfect gift with this teapot. Due to its beauty and design it is an excellent choice for weddings and birthdays. Especially for loved friends, family, and/or significant others. Enjoy your tea with one of our menu recipes, so maybe Malaysian Nasi Lemak or Char Kway Teow.